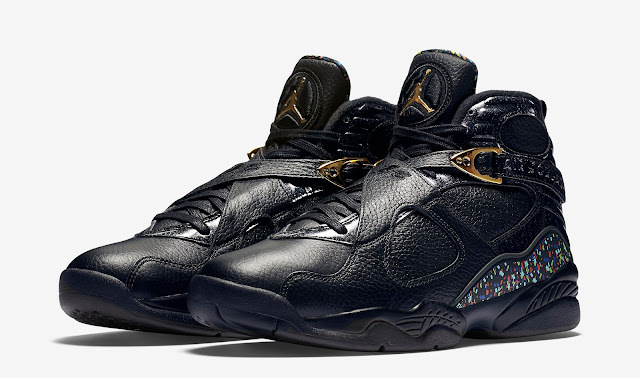 The first colorway from the Air Jordan 8 Retro "Championship" Pack hits stores this weekend. 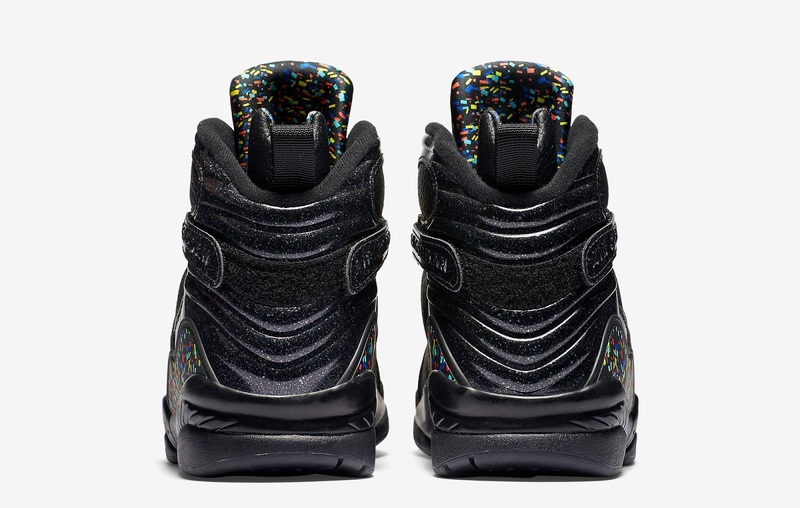 Known as the "Confetti" edition, this Air Jordan 8 Retro C&C comes in a black, metallic gold and anthracite colorway. Made to pay tribute to the Chicago Bulls first three-peat, they feature a black-based leather upper with gold accents, confetti detailing and the phrase "World Champions, again and again" written on the inside of the straps. 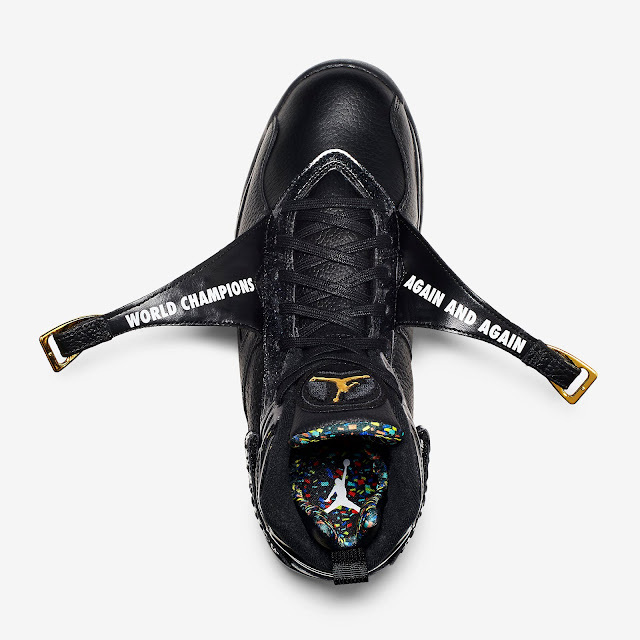 A limited release, look out for them at select Jordan Brand accounts worldwide on Saturday, June 25th, 2016. 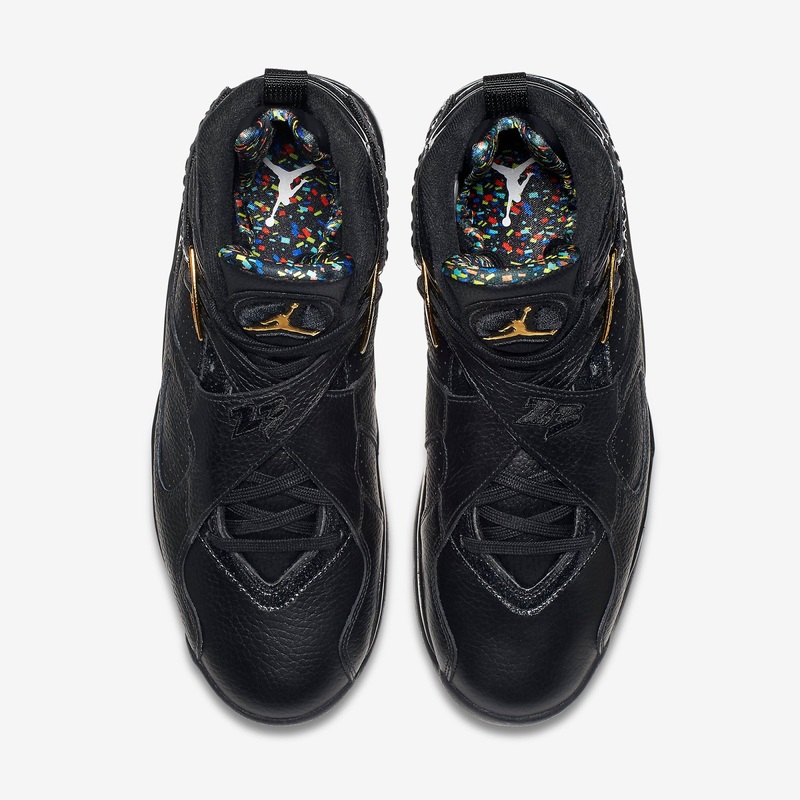 Retail is set at $250 for men and $180 for gradeschool. 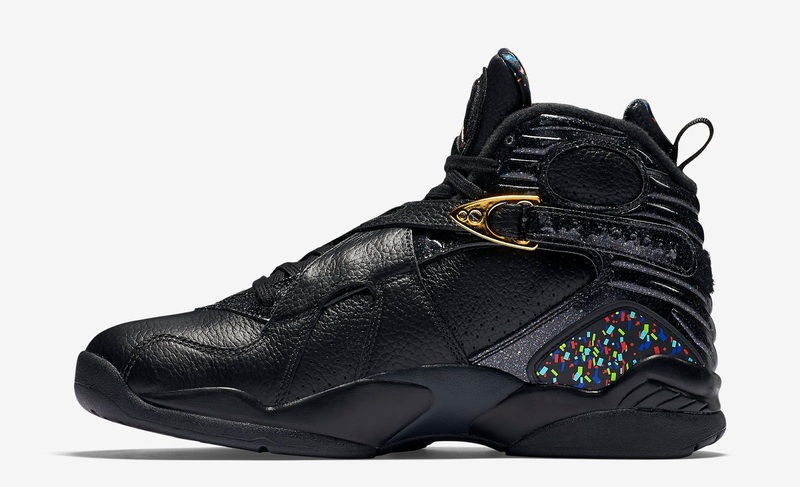 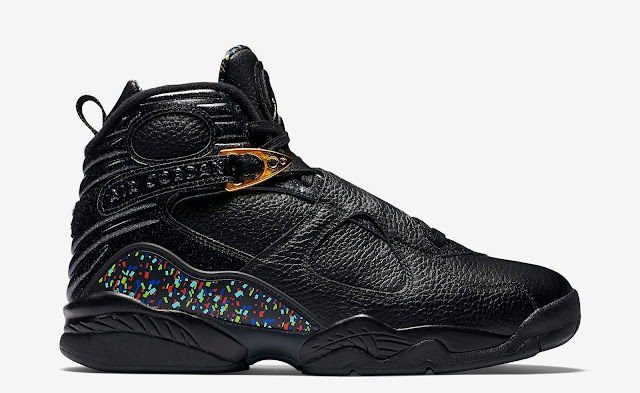 Enjoy the official images below of the "Confetti" Air Jordan 8 Retro C&C in black, metallic gold and anthracite. If you're interested in picking these up when they release, check in with your local spots to see if they will be receiving them. Those of you looking for a pair now can, grab them from eBay here.